The UEFA Nations League is an International Football tournament contested between countries from across Europe who are governed by UEFA. The competition was introduced to add a more competitive nature to international friendlies, with teams split into small groups depending on their ranking. These sides can be promoted or relegated from their groups. Winners of the four top League A groups will battle it out to become UEFA Nations League Champion, with semi-finals, a third place play-off and a final. All teams can also gain a position in the play-offs to qualify for the European Championships in 2020. Here we will preview the key matches from the next phase of UEFA Nations League matches. We have reached the final round of group fixtures in the UEFA Nations League, with promotion and relegation to be settled. England, Wales, Scotland, Republic of Ireland and Northern Ireland are all in action. There are also several tasty fixtures taking place elsewhere, with Croatia hosting Spain and France travelling to Holland. Will we see some upsets or can the favourites do the business and delight acca-backers everywhere? Can the Three Lions pip the Spanish to the Nations League Finals spot in League A, Group 4? Will Wales secure promotion to League A? Get ready for what will no doubt be a fascinating few days of Nations League football as the first face of the inaugural tournament reaches its climax. 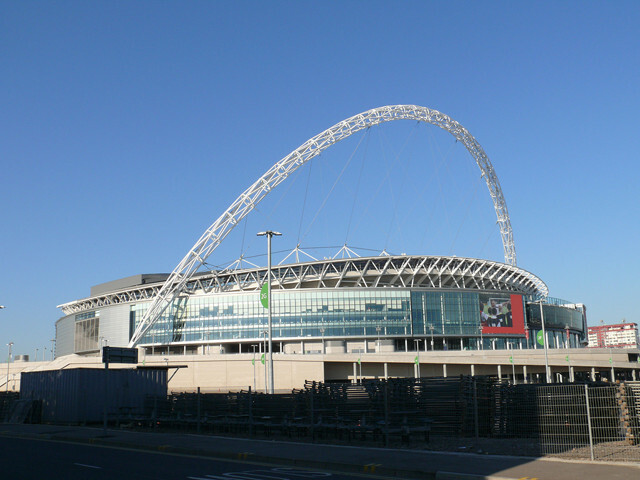 Gareth Southgate’s England entertain Zlatko Dalic’s Croatia at Wembley Stadium in a vital League A, Group 4 matchup on Sunday afternoon. A few days before travelling to London, the Croatians will host Spain. Before this week’s matches, La Furia Roja sit top of the group on six points, with the Three Lions two points behind. England’s qualification hopes could depend on how Spain get on in Zagreb on Thursday. Luis Enrique’s side will go through with a win while a Croatia victory will blow this group wide open. Nevertheless, Southgate’s men need to concentrate on themselves, and the English will be looking for all three points from Sunday’s clash at Wembley. After such a fine display in Seville last month, England are more than capable of seeing off Croatia in the capital on Sunday no matter what happens in the game in Croatia. Have a punt on England to win, which is available at solid enough odds of 10/11. Ryan Giggs’ Wales have had a fine Nations League campaign so far, picking up six points from a possible nine. 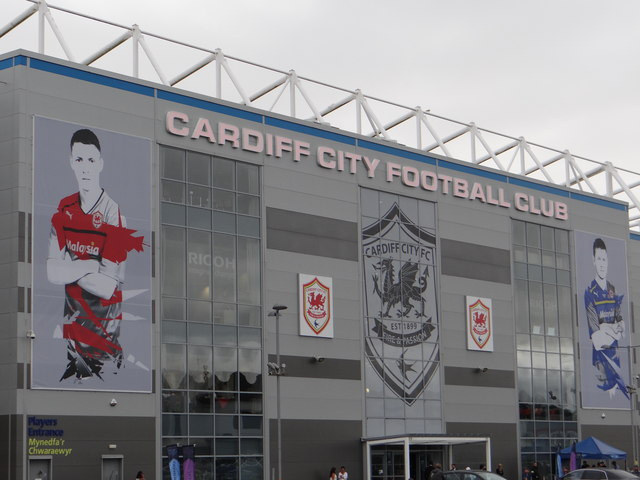 This Friday night, the Dragons face Denmark at the Cardiff City Stadium. A win for the hosts in the Welsh capital will see them promoted to League A and cap a fine start to international management for Giggs. Wales kicked off their campaign with an excellent 4-1 win over Republic of Ireland in Cardiff, but they were then beaten 2-0 by the Danes in Aarhus in their second match. Last time out, a stunning free kick by Harry Wilson gave them a crucial 1-0 win at the Aviva Stadium in Dublin. Denmark have two games left but defeat for them in Cardiff on Friday will put the Welsh through before they face Republic of Ireland on Monday. Giggs’ young, talented and hungry team should make home advantage count, so we’re backing a Wales win at 6/4 in front of their typically raucous fans. Scotland have left themselves with plenty of work to do, as Alex McLeish’s troops sit on just three points in Nations League C, Group 1. This Saturday, the Scots travel to Shkoder to play Christian Panucci’s Albania. 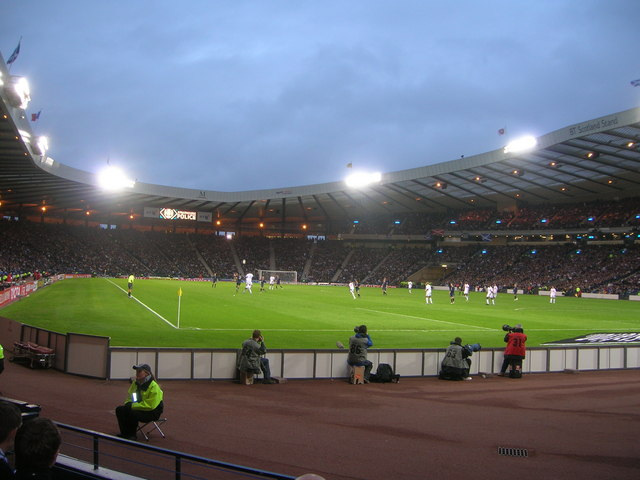 Scotland started the Nations League with a 2-0 home victory over the Albanians, but a 2-1 defeat in Israel last time out has left them in a precarious position in the group. After facing Albania on Saturday, McLeish’s men host Israel on Tuesday. Scotland’s destiny is in their own hands, and we fancy the Scots to win -1 (4/1) in Albania at the weekend. Michael O’Neill’s Northern Ireland could be relegated to League C this weekend. Norn Iron, who have zero points to their name, welcome Austria to Windsor Park on Sunday. O’Neill’s side have lost three out of three so far, with Austria on three points and Bosnia & Herzegovina on nine. N Ireland will want to end League B, Group 3 with a good result, but we can see the Austrians winning (21/20) in Belfast on Sunday. Republic of Ireland, meanwhile, end their League B, Group 4 campaign with a trip to Aarhus to face Denmark on Monday night. The Republic have also had a Nations League to forget so far, accumulating a mere point from three games. Ireland held the Danes to a goalless draw in Dublin, but we can see Age Hareide’s side being too strong for the Irish in Aarhus. Back the hosts to win -1 in this one. Belgium v Iceland - Belgium will take a giant leap towards the Nations League Finals with a win over already relegated Iceland in Brussels on Thursday. The Belgians, who finished third at the 2018 FIFA World Cup, have taken maximum points in League A, Group 2 so far. Take a punt on Roberto Martinez’s boys to win -2 at 6/4 this Thursday. Croatia v Spain - Croatia and Spain lock horns in England’s group on Thursday. The Croatians will be out for revenge after being humiliated by the Spanish in a 6-0 defeat in Elche back in September. Spain will go through to the finals as group winners with a win, but we fancy Croatia to hold Enrique’s men to a draw (23/10) in this one to keep England’s hopes alive. Netherlands v France - In League A, Group 1 on Friday, Ronald Koeman’s Netherlands and Didier Deschamps’ France square off in Rotterdam. The world champions lead the way in the group on seven points, with Holland in second on three. Germany, meanwhile, sit rock bottom having taken just one point from a possible nine following on from their woeful showing in Russia in the summer. We can see France prevailing in Rotterdam on Friday, which is available at 13/10. Italy v Portugal - Current European champions Portugal make the trip to the San Siro in Milan on Saturday to take on Italy in what promises to be a cracking match. Fernando Santos’ side have won two out of two thus far while the Italians have won one, drawn one and lost one. We’re backing these two evenly matched nations to play out a draw (11/5) in Milan on Saturday. 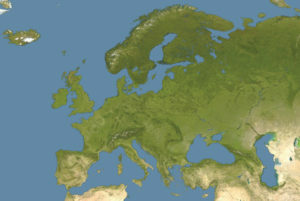 The Nations League is a new international competition that was introduced in 2018, with the first games taking place in September that year. It is sanctioned by UEFA (its full name is the UEFA Nations League) and slots into the FIFA football calendar in place of international friendlies. It is too early to say for sure whether the new competition has been or will be an overwhelming success. (At the time of writing we have just finished the initial group phase of the inaugural competition.) However, the chief aim of those that helped create the new event was to make friendly games more competitive and meaningful in the eyes of the fans and early signs indicate that it has worked, at least to a degree. Given how new the Nations League is we would forgive you for not being fully conversant with its intricacies. Thankfully we’ve got everything you need to know about the new tournament right here. Whether you want info on the event’s structure, formation or history, or betting tips and strategy information, we’ve got loads of great information on the Nations League. So… What’s the Point of it? As said, the Nations League is an international (men’s) football tournament organised by UEFA, the governing body for European football. It is scheduled to take place every two years and the initial tournament will be tied to Euro 2020 in the sense that teams will be able to qualify for the Euros via the Nations League. In UEFA’s own words: The rejuvenation of national team football – and the UEFA Nations League – stems from the desire of UEFA and its 55 member associations to improve the quality and standing of national team football. UEFA and its associations wanted more sporting meaning in national team football, with associations, coaches, players and supporters increasingly of the opinion that friendly matches are not providing adequate competition for national teams. Many have claimed that the Nations League is simply an attempt to make friendly games more marketable. By creating a tournament, games can be packaged together and TV rights deals more easily sold, and for more cash. Naturally enough, all those involved with the Nations League deny this. No matter what the true motivation happens to be, for the time being at least, the Nations League looks to be here to stay. European clubs will still play occasional friendlies but many of these have been replaced by the Nations League. Betting on the Nations League has already proved hugely popular, in part because what it has replaced was so unpredictable. International friendlies have been the bane of many a football fan because squads were often beset by withdrawals and managers were inclined to experiment and make so many substitutions that the flow of a game could be massively disrupted. The Nations League isn’t taken 100% seriously by 100% of teams 100% of the time but even so, initial games have proved more competitive and there are standardised rules regarding subs. All of our favourite football betting sites have most certainly embraced the Nations League and in terms of the coverage they provide, betting on the new competition is a real treat. Just about all of the matches and certainly those between the bigger nations, are very well catered to by the top bookies in the business. You’ll find a wide range of markets and specials, both pre-match and in-play. As ever, the hardest part of all this is deciding what to back. In the various competition guides we have here at BestBettingSites, we look at tournament- and event-specific betting strategies that might be able to help you out. We’ve also got a dedicated guide to betting on football and also to betting in general. These more general strategy guides are undoubtedly a good place to start when it comes to the Nations League. With a nascent competition like this there are no past trends to look at and nothing really specific about the Nations League that we can use to formulate any form of overarching betting strategy. The only real thing we would highlight, aside from the usual factors that impact upon value, is to pay particular attention to how seriously teams appear to be taking the competition. Much as UEFA would love all nations to give the competition their all, some have clearly taken it more seriously than others. Paying particular attention to the language used by the managers and players, as well as noting how strong or experimental the various nations’ squads are, could well pay dividends. It is also worth being aware of the situation within any given group, with dead rubbers or the presence of teams with nothing to play for almost certain to have an impact on the results. Many of football’s biggest events have long, illustrious and rich histories full of strange facts and unusual events. The Nations League, in contrast, is a real baby and a little like when sports stars and other celebrities bring out auto-biographies whilst barely out of school, there really isn’t all that much to say. The structure of the Nations League can seem a little complex at first but that’s simply because it’s new. In fact, it is relatively easy to understand – at least we think so! There are four leagues – A, B, C and D – with League A containing the best sides and League D the weakest of the 55 UEFA nations. A and B have 12 teams, divided into four groups (1-4) of three teams each. League C has 15 teams, with one group of three and three groups of four. League D contains 16 sides, with four groups of four. Which league a nation began in was decided using the post-World Cup UEFA co-efficients for all 55 nations involved. Teams play all other sides in their group home and away between September and November, meaning four games for each side (or six for those in groups of four nations). The top nation in each League A group progresses to the finals, with a draw determining the semi finals and the winners of these meeting in the overall Nations League final to decide who will be the outright winner. The bottom sides in each League A group are relegated to League B.
Relegation for the bottom sides takes place in all leagues, aside from the lowest, D. In League C, where there are three groups of four nations and one of three, things are slightly different. The three sides finishing fourth are joined by the worst ranked nation to finish third in any of the four groups. At various stages, sides are ranked in different ways and a range of methods is used to decide who comes out on top. In the initial group, obviously points determine who wins the group but the second ranking factor (should two sides be level) is points gained in the games between those nations. There are a total of 12 ranking factors to decide who has won the group (or finished last) and interestingly overall goal difference is only the sixth most important of them. Last but not least, sides are ranked from 1 to 55 in terms of their overall performance, with these rankings becoming relevant to Euro 2020 qualification. League A sides are automatically ranked 1-12, with B 13-24 and so on. The position a side finishes in their group is the first ranking criteria, so, for example, all four group winners in League A will be ranked 1-4 overall. To decide who is first and who is fourth, the same criteria listed above (goal difference, goals scored, et cetera) is used. A Place at Euro 2020 Awaits? One of the key elements of the Nations League is that it offers a route into the European Championships. In the same way the Europa League winners are granted a ticket into the Champions League, it is hoped that by adding the chance to qualify for Euro 2020, sides will take the Nations League more seriously. There is no doubt that this is a great idea and definitely goes a long way towards elevating the competition. Without the carrot of a place at the Euros, it would be far easier to argue that the entire event is a charade, simply friendly games rebranded. The main qualifying process for the Euros has been altered slightly, with games now beginning in March 2019 instead of September 2018 (following the World Cup). However, the biggest change is that only 20 of the 24 spots available will be up for grabs via the main route. Four will be set aside for the Nations League, with no spot reserved for hosts due to the pan-European staging of Euro 2020 across multiple cities. Seedings for qualification are based on the overall Nations League standings. This also means that the top four teams who made the Nations League final are guaranteed to be drawn in a group of five. There will be five groupings of five teams and five of six and with the top two qualifying it is clearly advantageous to be in a quintet. The final four places available at Euro 2020 will be decided by play-offs but, breaking with convention, the nations in these play-offs will be decided by their performance in the Nations League, not the main qualification period. Of course, those teams that have already secured their place at Euro 2020 will not be involved, with their position passed down to a lower ranked nation. Each of the initial four leagues of the Nations League will have its own pathway into the finals. In the March preceding the Euros, the play-off semis and final will take place. Within each path the highest ranked side will play the fourth highest in one semi final. Second and third will meet in the other. The winners of each semi will clash in the final. The semis will be hosted by the higher ranked nation but the venue for the final deciding games will be decided by a draw. Will the Nations League Grow? Whilst all that no doubt sounds very complex if you are reading it for the very first time, we feel the Nations League will grow to become a permanent fixture on the football calendar. At the time of writing, reaction to the concept has largely been positive. Players, managers, fans and federations have largely bought into the Nations League. The intricacies and minutiae of the format and structure may take some ironing out but all in all we predict the competition will develop into a third major tournament. It will always trail behind the World Cup and the Euros in terms of history, glamour and prestige but we feel the tag of the competition being nothing more than a glorified series of friendlies will quickly diminish. As England boss Gareth Southgate pointed out, it’s worth noting that early editions of both the World Cup and the European Championships hardly set the football world ablaze with excitement. Indeed, many nations, including England, Netherlands, West Germany and Italy, declined to take part in the first ever European Championships. Nobody can be sure of the future and whilst there is a chance the Nations League will fade quickly into obscurity, we believe the more likely scenario is that it will prove a hit. Some pundits and fans may believe success in the inaugural finals would end England’s ever-lengthening “years of hurt” and whilst that may be a slight overstatement right now, history may judge things differently if our predictions about the competition prove correct. One thing is for certain though, success in the Nations league would certainly rank above the Three Lions’ last success in the 1997 Tournoi de France! Frank – not exactly a Nations League fact but for a translation of the anthem, get in touch with Frank Lampard – he got an A in his GCSE Latin!